Leo Varadkar seems to literally believe he can have it all. And, what’s more, if Micheál Martin and the electorate allow him, he’ll share the spoils with us. That’s the dumbed-down version of the message he brought to the Fine Gael party think-in this year. The troops are upbeat, safe in the knowledge that they will either get the election many of them crave or two more years in power without the effort of pounding the pavements at all. It’s a ‘win-win’ situation. The Taoiseach’s behaviour over recent days has been provocative. He has goaded Mr Martin with a letter outlining just how great this Government since has done since 2016. Gold stars for everyone, except Eoghan Murphy and Simon Harris, who are working hard but need a bit more time to get all their homework done. He knows that Fianna Fáil is in a bad place. With Sinn Féin clipping at their heels and a front-bench that struggles to land daily blows, the main Opposition party are limp. The small rump of their TDs who are agitating for an immediate election are the ones whose main priority is not to be in government, but to oust Micheál Martin. So Mr Varadkar feels confident enough to try call their bluff. His demand that they begin renegotiating the Confidence and Supply Agreement now rather than at the “11th hour” is not unreasonable – but he also knows it’s one Mr Martin can’t give in to for political reasons. However, the Taoiseach runs the risk of over-playing his strong hand. For example, channelling your inner Bertie Ahern while talking about economic prudence is not a healthy mix. We swallowed that pill before. His list of giveaways read a bit like a boom-time manifesto too. Tax cuts for workers. Increases for pensioners, people with disabilities, carers and lone parents. There is even talk of bringing back the infamous SSIA scheme on the back of advice from the Central Bank. Of course the other thing the Governor of the bank, Philip Lane, had to say has been met with a fairly muted response. The Government will be “cognisant” of his warning to stall spending and focus instead on the boring task of reducing the sizeable national debt. Likewise the IFAC, which was set up after the boom-crash to shout ‘stop’, has cautioned that if the Government is going to stretch beyond an extra €800m in the Budget they’ll have to raise taxes elsewhere. So maybe that’s the sting in the tail that Mr Varadkar’s not telling us about. 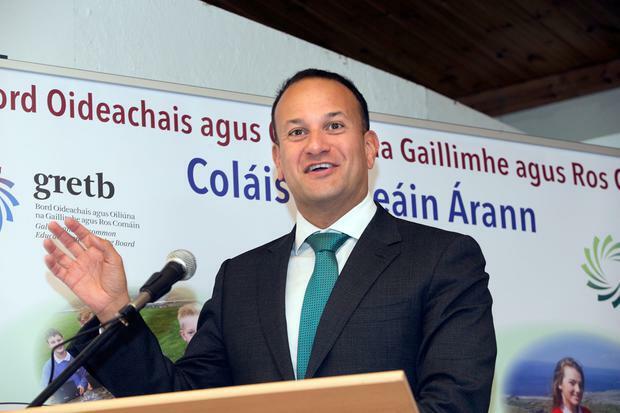 Carbon tax hikes and other sneaky measures could be the price of Leo’s giveaway. Otherwise it’s too good to be true.